The Hackley House in Muskegon, Michigan decorates this lamp. 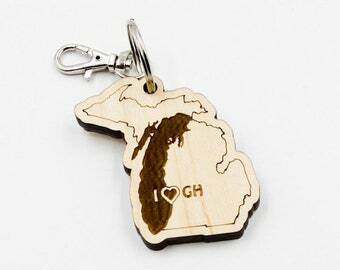 Perfect for anyone that lives in or visits this beautiful lakeside town! 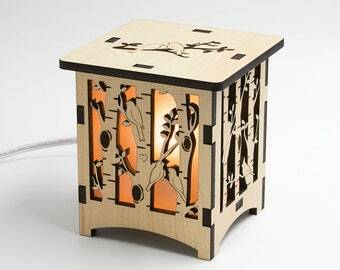 The back of the lamp features a living-hinge; thick wood cut so that it can bend. 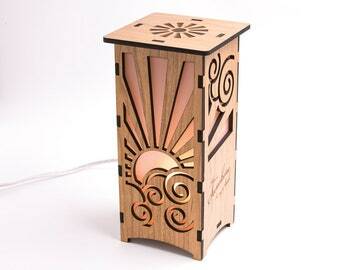 The back of the lamp allows light to spill out and creates a neat striped pattern of light behind the lamp. 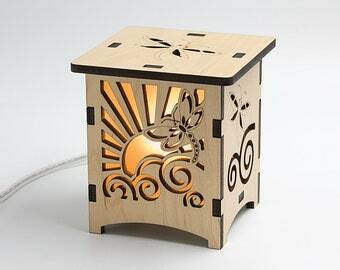 This lantern glows with a warm light that is cozy and beautiful! 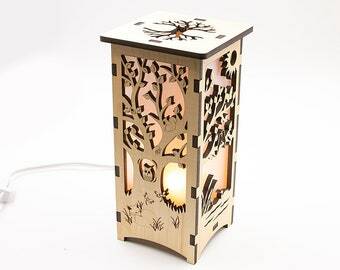 This lamp is laser cut out of 6mm MDF; a high quality, cabinet-grade wood in your choice of Cherry or Maple. 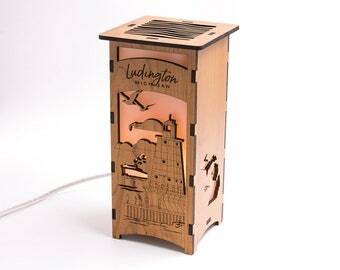 The wood is professionally finished with a clear, protective coat and is very sturdy! Please don’t hesitate to message us if you have questions. We are here to help! 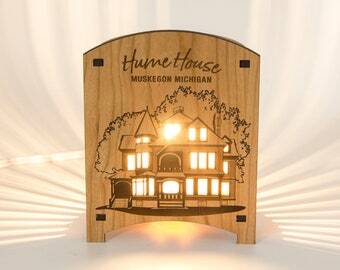 ~The front design is backed by a frosted vellum paper to allow for a soft warm glow from the nightlight. 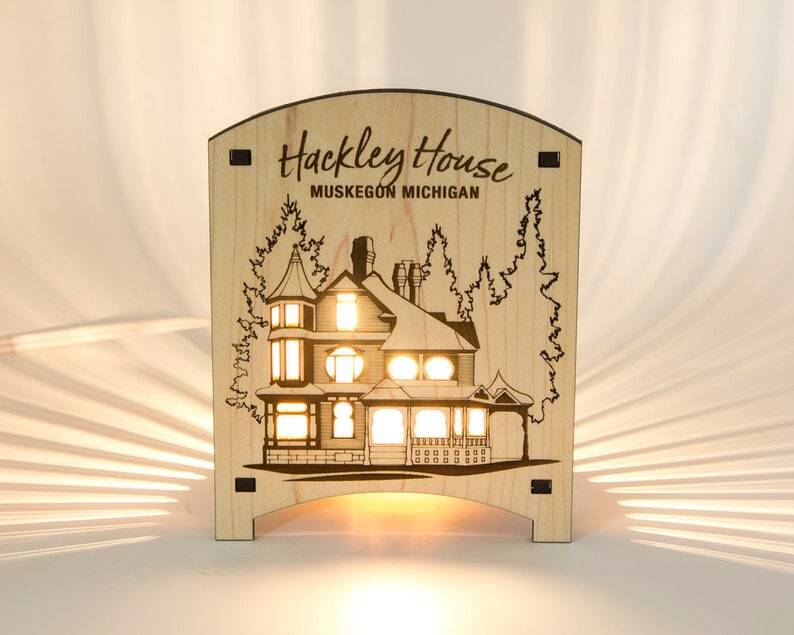 ~Included is a 7.5 watt standard incandescent nightlight with a 6ft cord and on/off wheel switch. The bulb clips in to the bottom of the lamp and is easily removable.